Volunteers on the Great Canadian Shoreline Cleanup collected 4.4 kilometres of rope from P.E.I. shorelines last year. Volunteers on the Great Canadian Shoreline Cleanup collected roughly 4.4 kilometres of rope from P.E.I. shorelines last year, according to figures from Ocean Wise and the World Wildlife Fund Canada. The two groups sponsored the cleanup, which covered sites across the country. The most common debris found on shorelines both on P.E.I. and across the country was bits of plastic and foam. Rope came in at number two on the Island, although nationally rope was the twelfth most common item cleaned up — only just making the cleanup's "Dirty Dozen" list. Rachel Schoeler, manager of the cleanup, said rope is more common on salt water shores. She said it's of concern because wildlife can get tangled up in rope or even ingest small pieces. 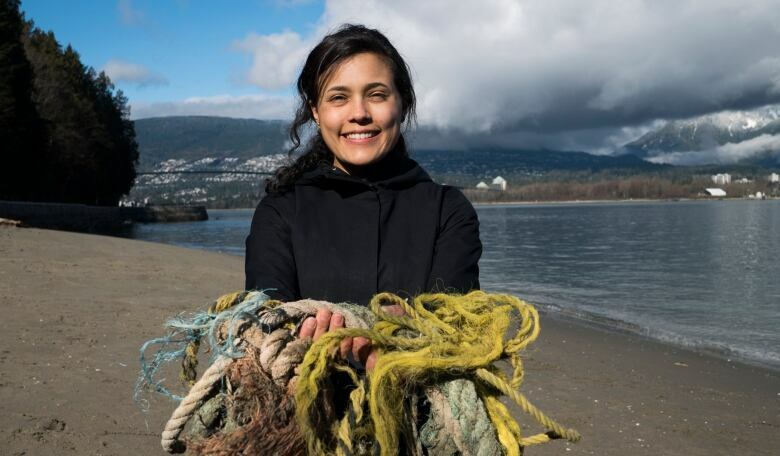 "Anything we can do to make sure that that rope is kept in our boats, or kept in our cars and properly disposed of if it rips or tears, then we can hopefully see a reduction in rope on our shorelines," she said. As a first step in combating shoreline litter, Schoeler recommended just reducing the use of foam and plastic. For foam and plastic you do use, she said, people should take care to dispose of it properly, and also to watch for deterioration in foam products and replace them when they start to fall apart. 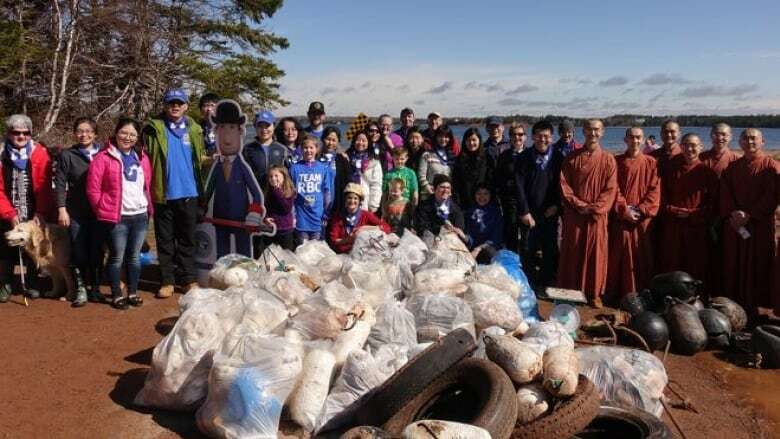 ​The cleanups were done entirely by volunteers, with seven events in Kings County, four in Charlottetown and one in Rustico. "There's definitely places and areas that need some attention and the more people that we have out there the more information we can gather and the more that we can pick up together," Schoeler said. Other unusual items reported on P.E.I. were a Santa Claus outfit, dog collar, $10 bill, tires, toys and a pillow. An interactive map of Canada and the litter found on shorelines across the country can be explored online.